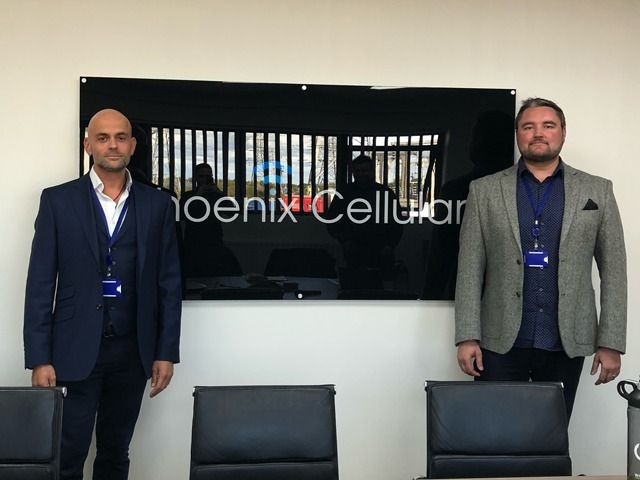 Phoenix Cellular specialises in distributing used mobile phones and now claims to be Europe’s top distributor in its field, selling around 40,000 used top-tier handsets a month. Based in Crewe, the company was set up in October 2015 by brothers Marc and Paul Walters and their friend Andrew Dulla when they spotted massive potential in the used mobile sector. Three years in, Phoenix expects its turnover to hit £32 million this year. This compares with a figure of £22 million in 2017, an increase of more than 100 per cent over 2016. The turnover target for next year is £50 million. The Walters brothers were previously involved in recycling at Mobile Phone Xchange (MPX), a company they ran with their father Geoff, who passed away in 2012. Both brothers are industry veterans. Their father was one of the first mobile dealers in the industry’s heyday in the 1980s, selling BT car phones from his Latchborder company. He later moved into airtime provisioning, setting up Complete Mobile Communications, which was bought out by Avenir. Their father’s influence is still evident. Enter the building in Crewe and one of the first things you’ll see is a cabinet stuffed full of old mobile phones that belonged to Geoff. “This cabinet is part of him in the business,” confides Paul. Now aged 46, he has been in the telecoms business since he was 20. Working with their father taught the brothers about the industry and gave them the experience and confidence to start Phoenix. “We learned a lot from him. He was well-respected and had virtually no enemies in the industry. He taught us to never ruin relationships, but to build them and gain people’s trust,” said Paul. But having achieved success at CMC and MPX, why not just call it a day and enjoy the fruits of success? When they set up the business, the Walters funded it and brought in Andrew Dulla as an equal partner. What was the thinking behind locating the business in Crewe? Paul says this based on where Dulla lived, in nearby Nantwich.